Ubud offers more than just a destination to eat, pray and love. It has green hills, ancient and powerful rivers, terraced rice field, and an abundant of art. Art is everywhere – on the architecture of a temple, on an intricately carved statue being sold in a shop, on the masterpieces in the museums, on the offerings on the streets, and all the tiny details that makes Ubud unique and beautiful. I love Ubud for the fact that it is not only looks good but also looks good on pictures. 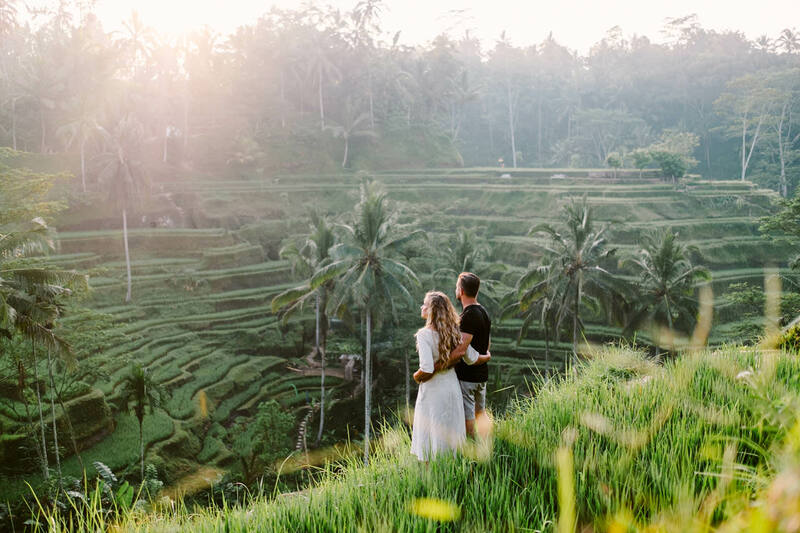 It is very photogenic and romantic – making Ubud a popular choice for many of my clients to do their Ubud honeymoon photoshooting. Unfortunately, for the same reason, you have to share Ubud with many people. As the general rule, avoid the crowd by coming to some spots early in the morning. Sunrise would be perfect because you will get the misty ambience and the soft golden glow. 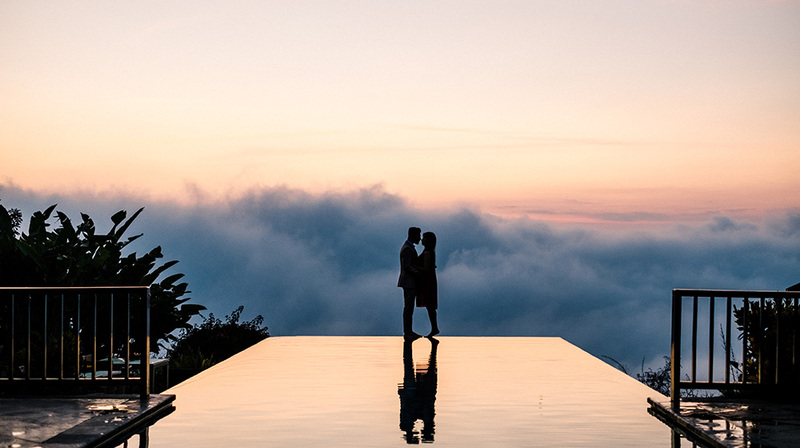 Here are some of 7 best honeymoon photo spots in Ubud that I really love as well as some tips to maximize the experience. 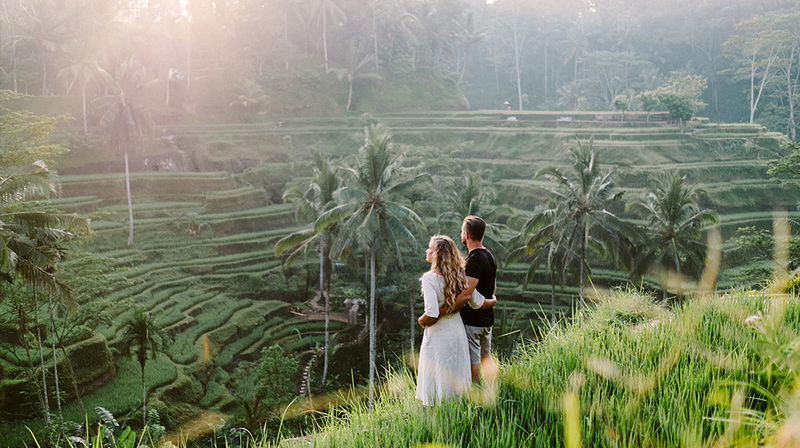 Easily reachable from Ubud, the Tegalalang Rice Terrace is definitely best honeymoon photo spots in Ubud for many of my clients. 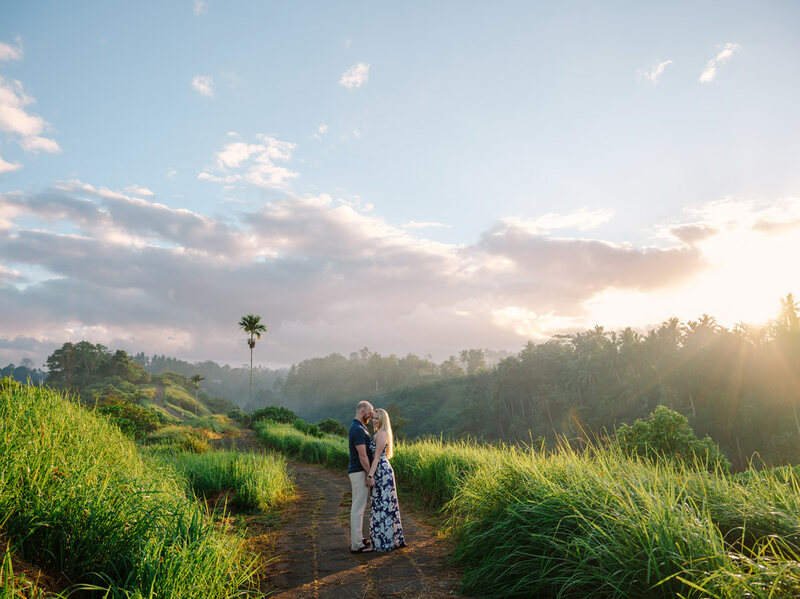 It is like capturing Bali in one frame where the couple can get the beautiful green rice field and the glorious early morning illumination. Go there before 9am to avoid the crowd and suggest the ladies to not wear any heels because of the muddy terrain. There are plenty angle options to play with and a spacious background that will delight any photographer. This is, by far, the most professionally run waterfall destination and for that reason, I am always happy to take my client here. Its close proximity to Ubud makes it easy to visit after an earlier session at the Tegalalang Rice Terrace. 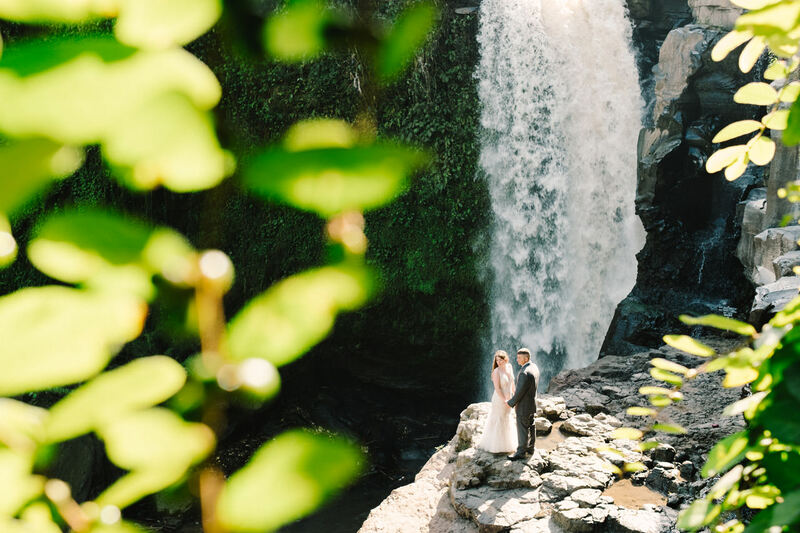 There are three different levels on the waterfall on where a couple can pose. It is advisable to not wear any heels and please be mindful that there are stairs to reach the waterfall. The management charge Rp250,000 for photoshoot permit includes entrance and drink. Don’t go there after a heavy rain because the water can get high and dangerously powerful especially in wet season, November to January. Come early to avoid the crowd of Instagram waterfall chasers. This is another alternative to the rice terrace. 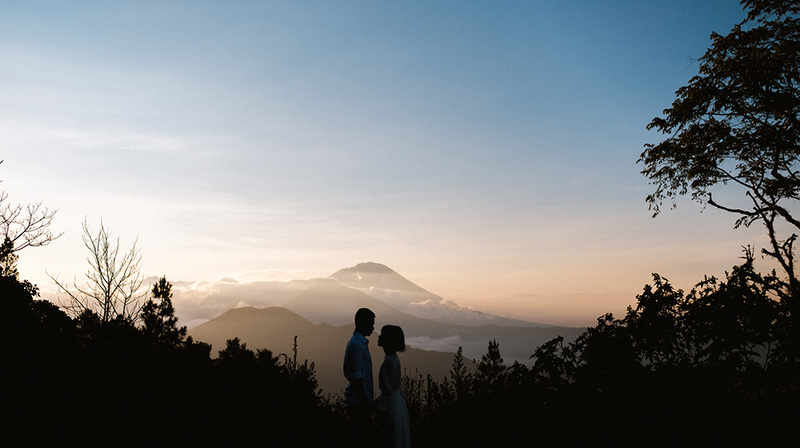 It offers the same exquisite golden lighting and lush green vista of Ubud. There’s a beautiful temple on the entrance as a spot to take picture. Sunrise or sunset will be the perfect time to come here for a walk and picture taking. An easy stroll off the main road, the trek is easy although heels are not advisable. Playing around with the photogenic and friendly monkeys here never gets old. The surrounding forest itself creates gorgeous scenery with its tall trees, carved mythical creatures, hanging roots, and temples. Admission fee is Rp50,000 per person and no additional charge is applied if the photo shooting is done casually. 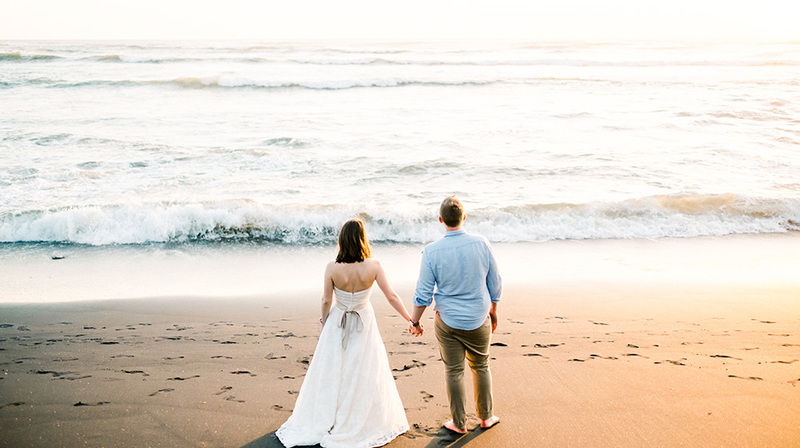 There’s an additional charge if the couple are wearing bridal attires. Located around 30 minutes from Ubud, the mythical Petanu River is one of the most important rivers on the island. It airs the farmlands and closely interlinked with the local’s belief and folklore. It is also my hometown and a river of my childhood – so I know some of its hidden crevices by heart. For a more adventurous couple who don’t mind getting wet, I will take them here for an intimate and dramatic photoshoot. Just advise them to bring extra pair of clothes and towel. 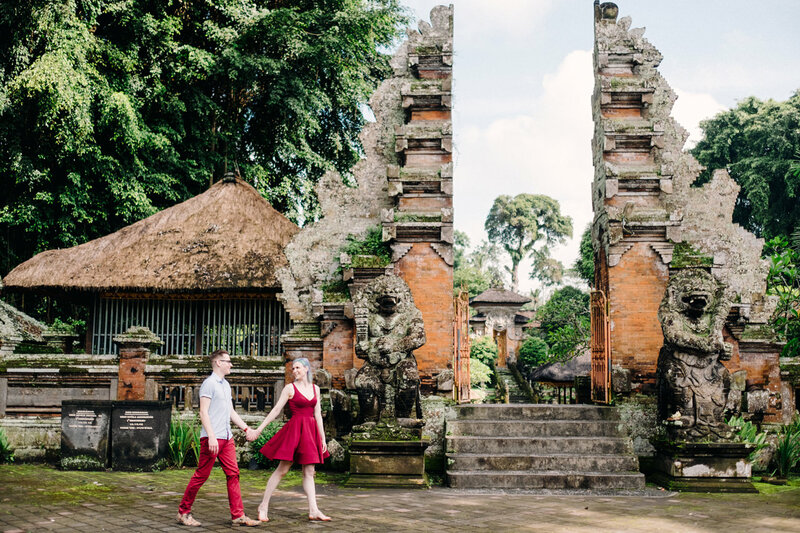 Located between Blangsinga Waterfall and the town of Ubud, Pura Samuan Tiga as it is known, is an exemplary piece of Balinese temple architecture. The front gate makes for a dramatic backdrop for a photoshooting. It is ok to not wear a sarong as long as you don’t go inside the temple area. Market is always an interesting place to shoot with its variety of textures, colors, movements, and people. Ubud Traditional Art Market is popular for the obvious reason, so try to go there before 10am to avoid the horde of day trippers and harsh light. Even then, there will be people all around so patience and agility is needed to capture some good shots. 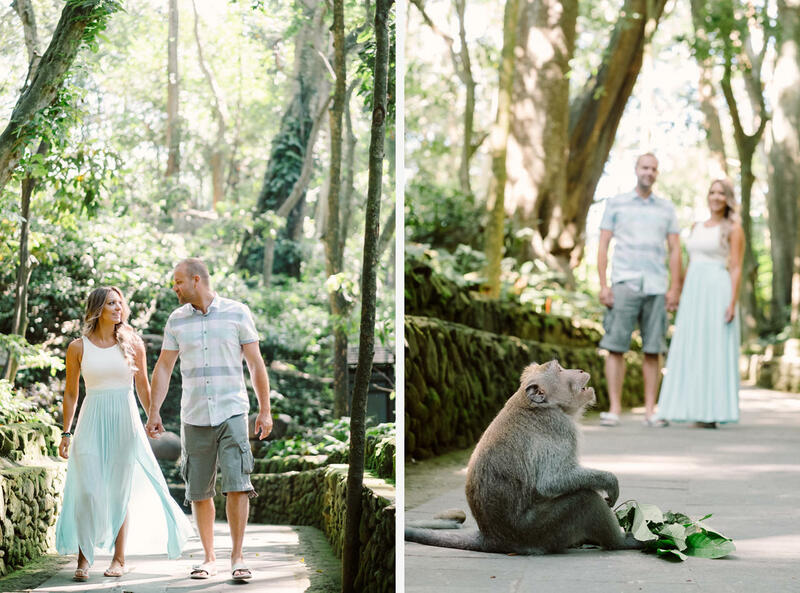 The street and the palace also provide some stunning backgrounds for casual photoshoot and street photography make this location one of the best honeymoon photo spots in Ubud!